According to Brisbane based paediatric occupational therapist Nicole Grant, this profession is for those who are passionate and compassionate, creative and resourceful, who like thinking outside of the box and being able to take a holistic approach to health care. While many other people in the health industry are involved in the diagnosis of diseases, the occupational therapist’s role is about looking at what their client wants to do, and help make that happen. There are volunteer roles for occupational therapists from time to time, such as assisting asylum seekers and refugees. Many occupational therapists are employed via the National Disability Insurance Scheme (NDIS), and some were called upon to raise issues during a NDIS enquiry. The biggest thing you need to know is that the profession of occupational therapy isn’t about providing careers advice! The “occupation” in occupational therapy is all about daily activities, whether it be playing and learning for a child or an adult with cerebral palsy living independently. Many occupational therapists work with people who are disabled or recovering from an injury, and there is a high degree of sensitivity and respect for humanity that is required for this profession. What do occupational therapists do and where do they work? If an OT works in a hospital, they may have an allied health assistant work alongside them. In 2013, South Australian Kaurna man Trevor Ritchie became the first indigenous graduate of the occupational therapy course in his state. Paediatric OT Nicole Grant has shared her career story, and OT academic Clare Wilding shared her thoughts on what happened at an occupational therapy conference in 2013. Emma Gee was an occupational therapist who had a stroke at the age of 24 and has gone on to become an inspirational speaker. Click here for the ATAR for every occupational therapy course in Austalia in 2018. Are occupational therapy graduates getting jobs? Labour market information about the profession of Occupational Therapy in Australia is difficulty to come by, and we recommend you contact industry body Occupational Therapy Australia for information. According to the registration data from the Occupational Therapy Board of Australia, there has been a large increase in the number of occupational therapists in Australia in recent years. The number of practising occupational therapists increased from 14,935 in December 2013 to 21,301 in December 2018. There has also been an increase in demand for occupational therapy services with the rollout of the NDIS. However, there has been difficulty in obtaining data as to whether this means the workforce is in balance, or whether there is an oversupply or undersupply of occupational therapists. 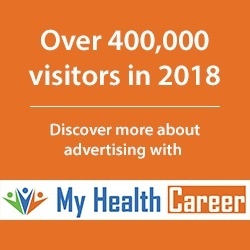 The Australian Job Outlook suggests that there will be a total of around 7,000, which equates to around 1,400 new job openings each year for occupational therapists in the 5 years to 2023. How long does it take to become an occupational therapist? It takes a minimum of 4 years to become an occupational therapist. Please go to our occupational therapy infographic page for more information on the pathways to becoming an OT. 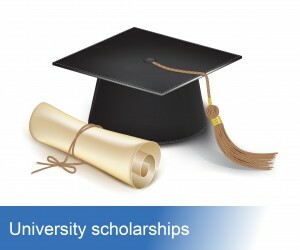 Click here for a list of university scholarships. How much money do occupational therapists earn? There is also more earnings information available here. Click here to go to our videos about a career in occupational therapy by real occupational therapists. Click here for the latest news about occupational therapy. Go to this page and click on the links from there.